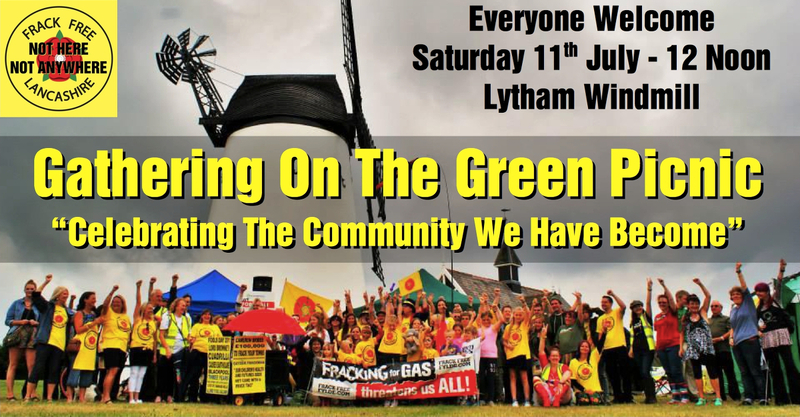 The fantastic work of residents, communities, local, national and international groups has meant that “fracking” has stayed in the news and out of the Fylde! Despite the wealth and power of those behind this dangerous industry, the opposition to it grows more informed and numerous. We need to shout it loud and clear that we do not accept this threat to our communities. To do that, we need to gather ourselves together and show that we are united on THIS ISSUE. 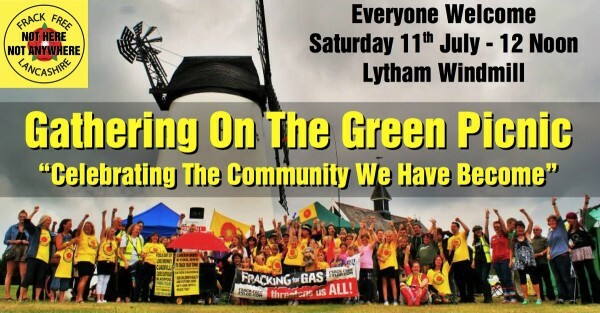 This gathering is for residents, friends, families, businesses and anyone who feel that the shale gas industry comes with too many risks. A day for picnics, conversation, information and a show of numbers that makes our position clear and says… we will not be bought-off. We know that fracking carries serious risks to local people, to our health, our water, our wildlife and contributes to climate change. 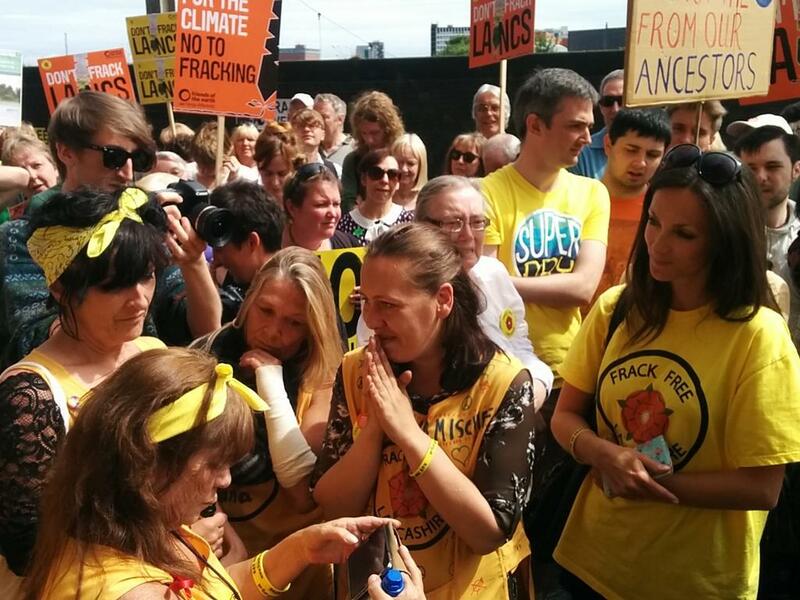 We are happy that Lancashire County Council has listened to the overwhelming wishes of local people and has rejected Cuadrilla’s applications to frack at Preston New Road and Roseacre, in Lancashire. We have a positive vision for Lancashire and the UK with thriving rural economies that do not threaten our clean air and water. We believe in producing the food and energy we need in a sustainable way that protects our children’s future and our beautiful countryside. 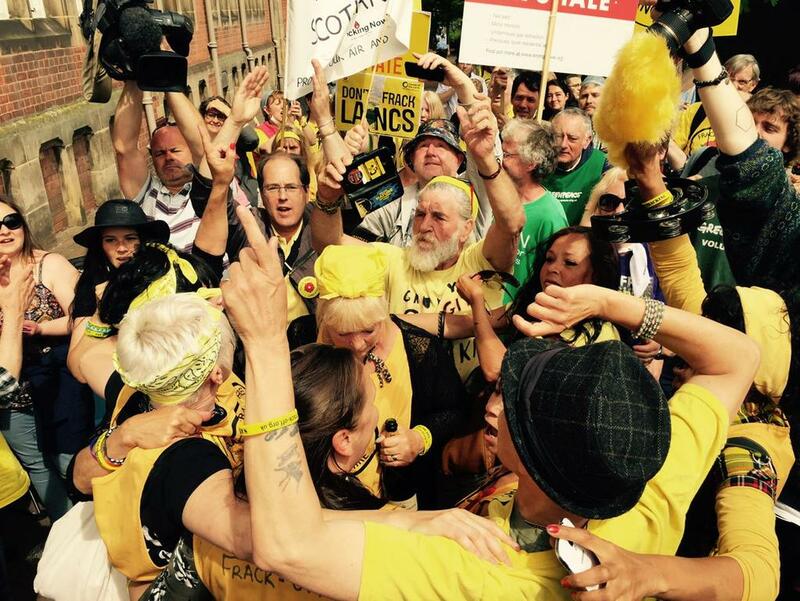 LATEST NEWS – Council blocks residents from presenting “valid reasons” for refusing Preston New Road fracking application. 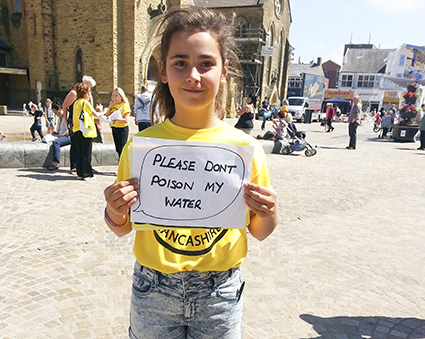 Residents release legal opinion contradicting council advice on Lancashire fracking plan. 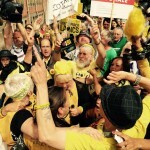 The community group representing residents near Preston New Road, where Cuadrilla are seeking to drill and frack four wells, has blasted Lancashire County Council’s Planning Officer for undermining the volume of objections to the plans. 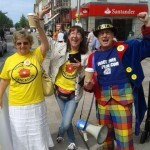 Councillors on Lancashire’s Development Control Committee were told at Tuesday’s meeting (23 June) by Planning Officer Stuart Perigo that objections “must be kept in context” and were not of an unprecedented nature – despite over 11,000 Lancashire residents writing to oppose the plans (1). The Planning Officer specifically highlighted the number of objections outside the county area – 6,862 – yet the overwhelming majority were from within Lancashire. Contrastingly, the officer neglected to break down the national number of representations in support of the plans – 217 – by area. 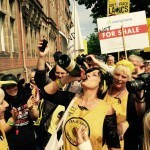 Councillors were also told that “several groups have run national opposition campaigns against the industry” while not giving comment on the considerable resources of the pro-fracking lobby – including the Cuadrilla-funded North West Energy Task Force, and the vast number of PR companies which Cuadrilla have employed including, according to an investigation by Spinwatch, experienced lobbyists Hanover, Bell Pottinger, PPS, and Westbourne Communications (2). Meanwhile, Councillor Paul Hayhurst has strongly criticised the advice Councillors received about the legality of refusing the application on Wednesday, when a motion to refuse the plans was narrowly defeated on the Chair’s casting vote. Speaking to an independent reporter (3) Mr Hayhurst said “We were told we must vote for the application. If we didn’t we would be breaking the law and we would be deemed irresponsible members.” The Councillor said the legal advice made public the subsequent day (4) did not contain the same strength of words as they had been told verbally, or that Councillors would be acting illegally if they were to refuse the application. 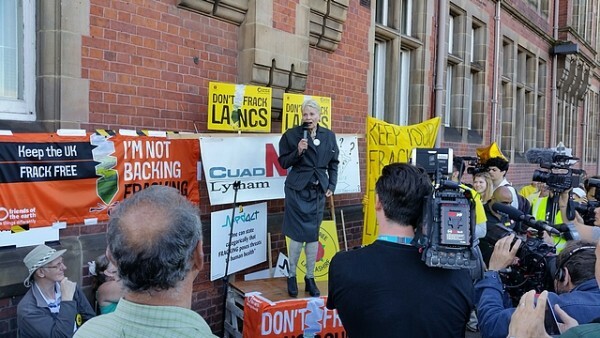 “Over the three days of meetings so far Councillors have not said a single positive thing about fracking, only fear of Cuadrilla appealing and the costs incurred. “It is alarming if Councillors are being misled and threatened by officers that they would be acting illegally if they were to refuse the applications. We have presented evidence including from Barristers that the application should be refused on planning grounds. These are elected Councillors and they must act in the interests of residents and local democracy, not the threats of corporations and hidden executives. The Committee is due to decide on the application for Preston New Road on Monday 29 June. The Frack Free Lancashire alliance of 39 community groups opposed to fracking is organising a public rally outside County Hall from 9am on Monday. See archived webcast of meeting, comments on representations are at 51 minutes. Planning Officer Stuart Perigo outlines that of 18,022 total objections 3,023 were from Fylde, and 6,862 from outside Lancashire. 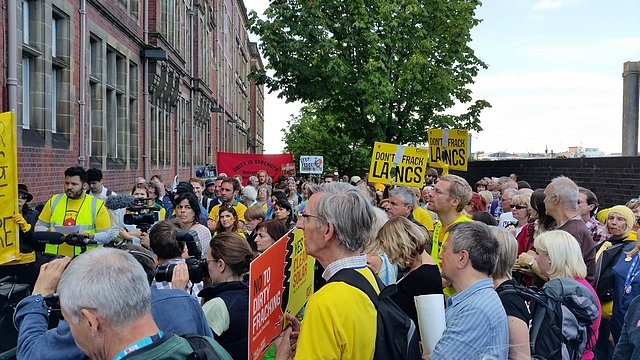 From those figures it can be derived that 11,160 Lancashire residents objected – an unprecedented figure for a Lancashire planning application. 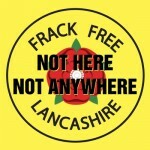 Don’t Frack Lancs! Rally in Preston! 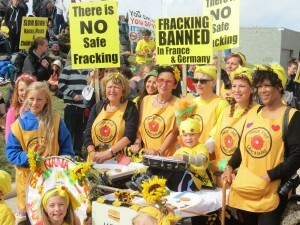 We can Stop Fracking & Protect our County! 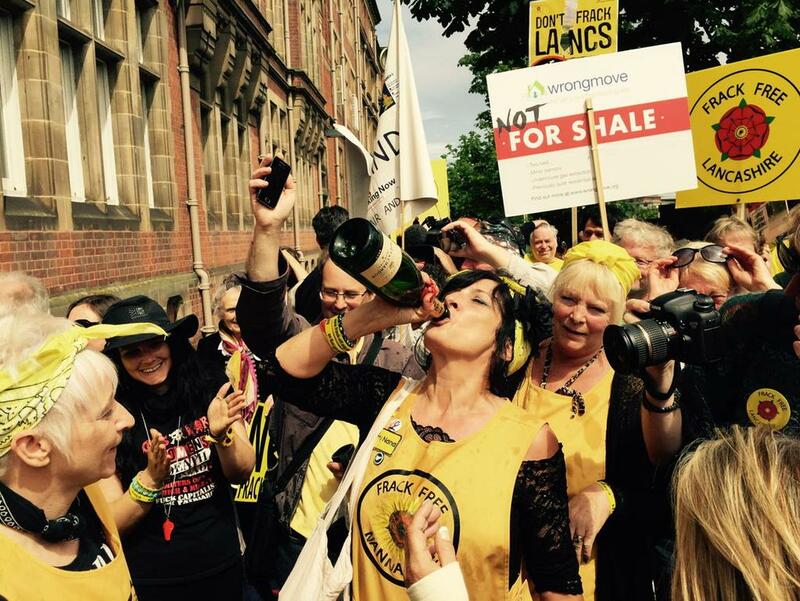 From 9am on Tuesday 23rd, Lancashire County Council will be deciding on whether or not to approve two of the biggest fracking tests ever contemplated in the UK. 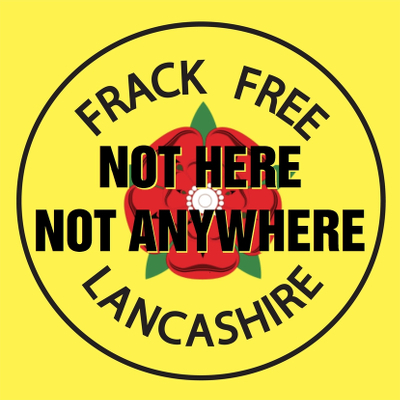 If allowed to happen, each site would have 4 horizontal wells, producing tens of millions of gallons and radioactive and toxic waste and opening the door to thousands more wells to be drilled across Lancashire, and the rest of the UK. Preston Council have just recommended objection to the plans for Roseacre Wood. 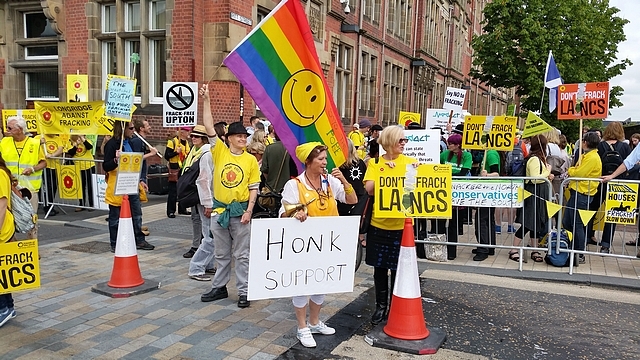 On the first day (and on subsequent days), concerned communities from around the UK will descend upon Lancashire County Hall in Preston for a peaceful show of solidarity and resistance. This is a huge deal that has implications for the entirety of the UK. It’s also a great chance to showcase the strength and solidarity of the of the UK anti-fracking movement by standing with the people of Lancashire! Wear Yellow & Bring a Home Made Banner! 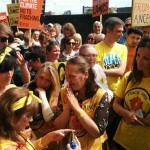 Register your Objection to Cuadrilla’s plans now!!! 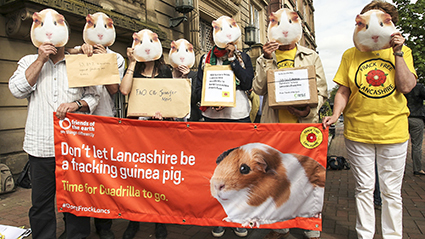 Lancashire County Council has announced new dates in June for its Development Control Committee to make decisions on Cuadrilla Resources plans to continue fracking in the Fylde. The applications relating to the Preston New Road site are scheduled to be decided at meetings to take place on Tuesday 23rd June and Wednesday 24th June. The applications relating to the Roseacre Wood site are scheduled to be decided at meetings to take place on Thursday 25th June and Friday 26 June. Community groups from across Lancashire and the UK now have a clear focus for action on the decision days and in the weeks in the lead up. 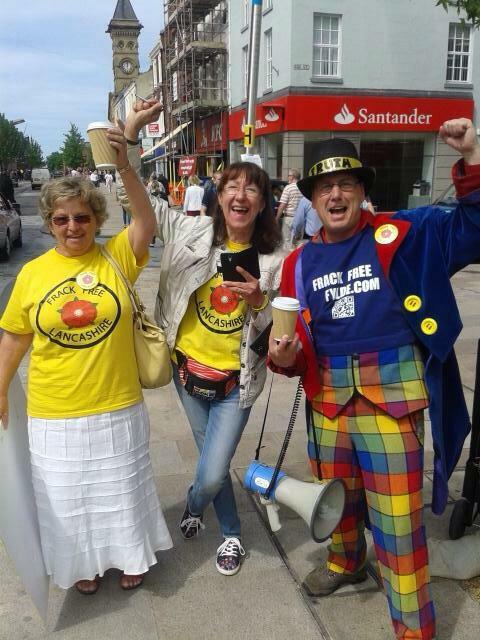 Cuadrilla Banks Site – Granted! 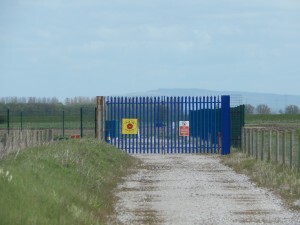 The gates of the Becconsall site. In March last year Cuadrilla made a new application for their Becconsall site. 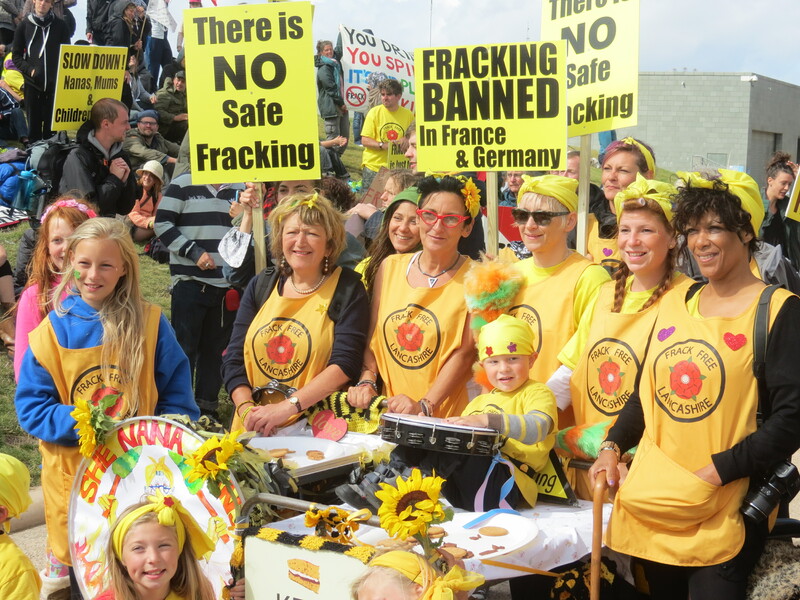 Although they have backed away from a full scale frack at Banks they now want to perforate the well with high explosives and install pressure monitoring equipment. They have refused to give details of the explosives to be used but will need to bring a full work-over rig on-site with pumps to recirculate fluid in the well (an almost identical application for a site at Grange Road in Singleton was refused in February this year). Ribble Estuary Against Fracking (REAF) issued this statement. 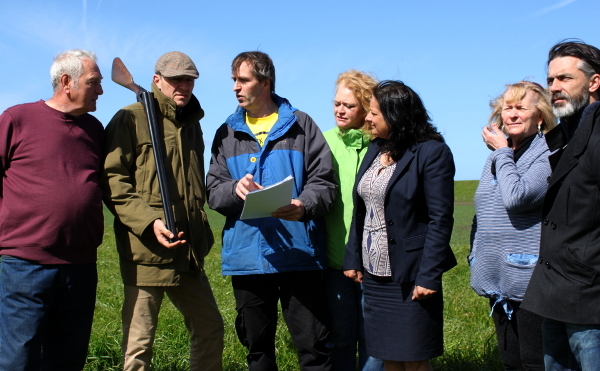 It has also come to light that Pink Footed Geese feeding on a wildfowl refuge set up by Cuadrilla were shot by hunters who had leased the same fields. 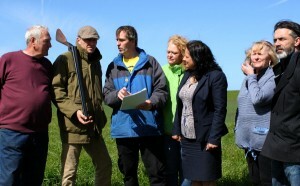 REAF members compare mitigation maps with a member of the shooting club. Lancashire County Council’s planning committee approved the Banks application in September last year but did not issue the planning permission until the 1st May 2015! The committee’s recommendation to approve was subject to the applicant putting in place “off site ecological mitigation measures” to be provided throughout the wintering wildfowl seasons. However, the owners of a large section of land set aside for migratory birds had an ongoing contract with the gun club. See the full time-line for the Banks Site. 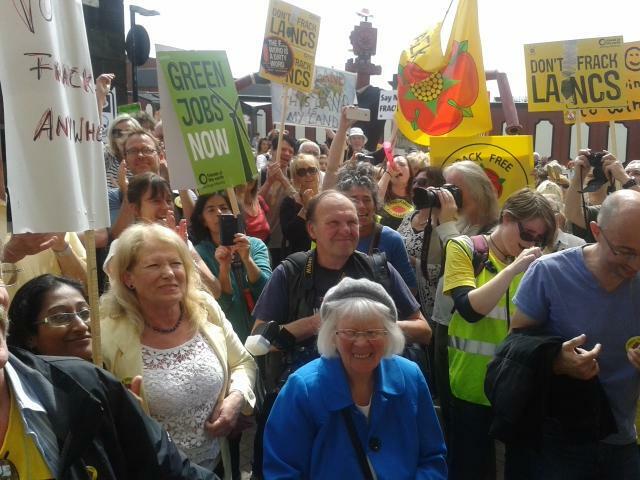 Residents from across Lancashire gathered at the site on Bank Holiday Monday (4th May 2015) to show their opposition to any activity by Cuadrilla. 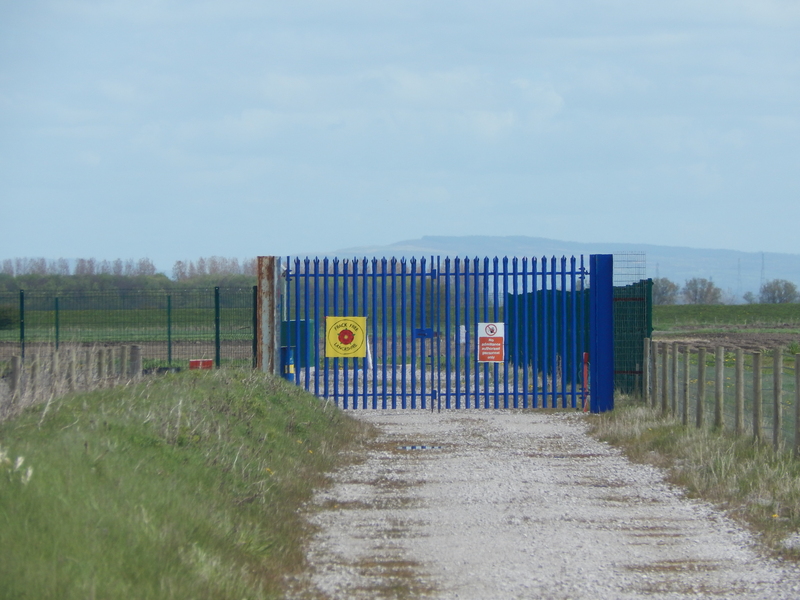 In addition to the new applications for exploratory fracking at Preston New Road and Roseacre Cuadrilla are seeking to retain and extract saleable data from as many sites across Lancashire as possible. 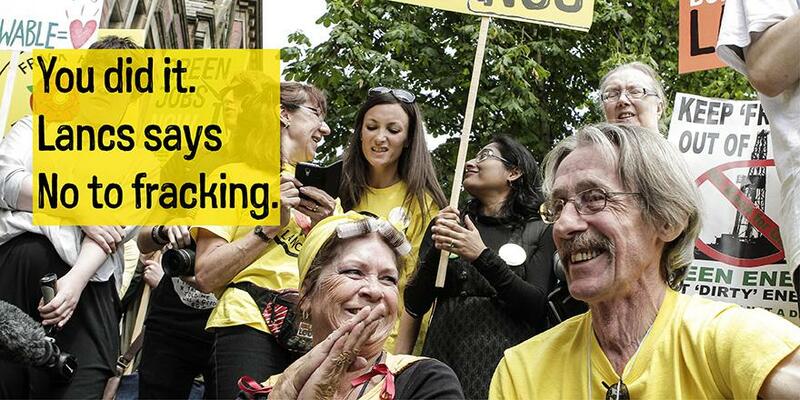 As 60% of the UK is now available to fracking companies it is essential that every community facing this threat gets informed and organised to resist. 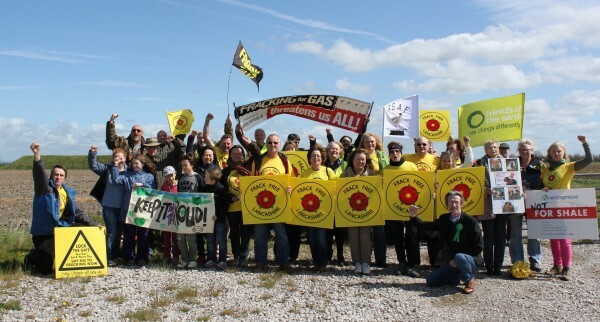 Lancashire County Council has agreed with Cuadrilla to extend the time period to make decisions on planning applications for shale gas development at Preston New Road and Roseacre until 30 June 2015. The council issued this Press Release today. 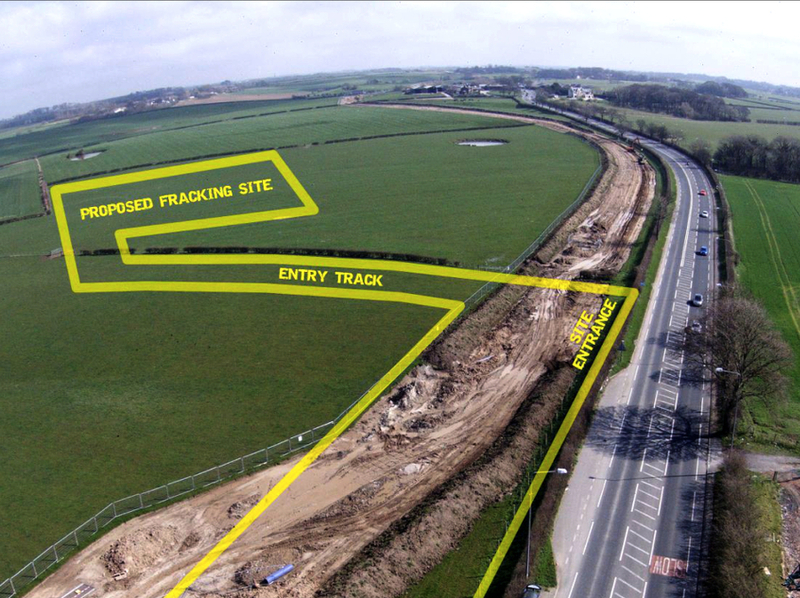 Although the official consultation period ended on the 17th April you can still Submit Objections to Cuadrillas Fracking plans. 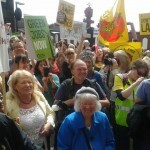 The decision has now been delayed by over six months but Fylde residents are determined to keep the pressure on. 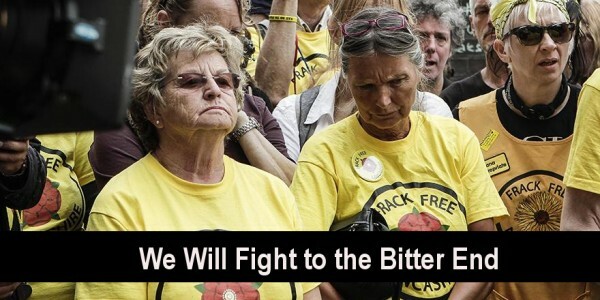 Now is the time to put even more pressure on Cuadrilla and oppose their fracking plans at Preston New Road and Roseacre. For each of these sites Cuadrilla will require 20,000 vehicle movements, between 24-36 million gallons of fresh water and produce 13 million gallons of radioactive liquid waste and 3,500 tonnes of hazardous solid waste. This would be dwarfed by the 100’s of sites and 1,000’s of wells required for full scale shale gas production in the North West. Contact your Local Group now!